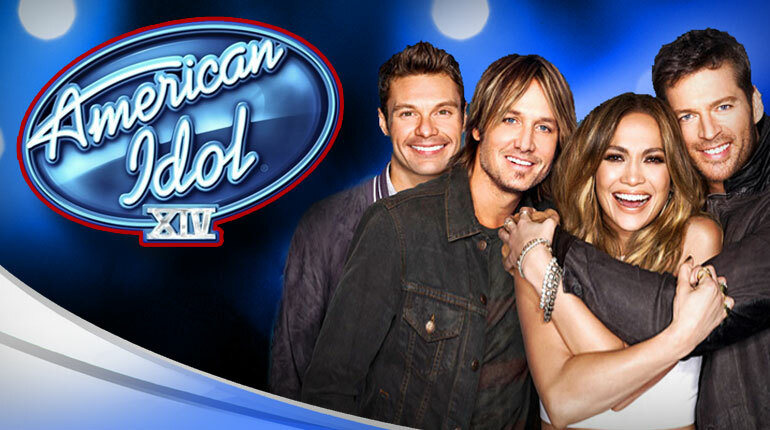 As you may have seen on television (that thing that kills time while your phone is charging), American Idol is about to enter its FOURTEENTH season (another year and it can get its learners driving permit), and like any show that has been on for so long, the team at Idol is implementing some changes to help attract new viewers and keep the old ones. Using my top-secret entertainment industry connections I was able to obtain a list of these changes for you, my loyal readers. • American Idol’s infamously rotating cast of celebrity judges will bump up from rotating every season to now rotating every 15 minutes. Things get especially dramatic when Mark McGrath gives the approving vote to put a contestant through to Hollywood only to have the “rotate judge” alarm go off, with replacement judge Kevin Federline voting the other way for the unlucky contestant. • In addition to searching for talent in New Orleans, Nashville, San Francisco, Minneapolis, and New York City; the show will also be holding its trademark ten-thousand-person auditions in Metropolis, Atlantis, The Emerald City, Mount Olympus, The Alternate 1985 timeline from Back to the Future 2, and The Negaverse from Sailor Moon. • Keith Urban has agreed to a cross-promotion with a hip, young clothing store, legally changing his name to Keith Urban Outfitters. • Going to just start referring to itself in all graphics, conversations, and materials as “The Voice” and see if anyone notices. • Taking its well-known list of mentors like Randy Jackson and Scott Borchetta and adding other legendary mentors such as The P90X Guy, Mister Miyagi, Mother Teresa, Obi-Wan Kenobi, Professor Dumbledore, Your High School English Teacher, Dina Lohan, Rafiki from Lion King, and Gandalf the Grey. • End every show with one uncut five-minute block of lemmings mindlessly walking to their demise by the ton and see if even a single viewer picks up on the irony. • Putting Carrie Underwood, Clay Aiken, and Taylor Hicks in fake Groucho disguise mustache-glasses and sneaking them back into the competition. • Following up all eliminations with on-air, real-time executions of whoever is voted off that week. • Do a Mythbusters-style special on whether or not Ryan Seacrest has ever said anything sincere with all that feigned enthusiasm in the past 13 years. • Airing all episodes at once, Netflix style, to help induce binge watching like the kiddies enjoy so much these days. • Regardless of what the votes say, just declaring Ruben Studdard the winner anyway. …Should be a fun season!